Home Law Personal Injury What Happens When You Get Injured At Work? What Happens When You Get Injured At Work? If you are ever in the unfortunate situation where you get injured at work, you need to make sure that you are taken care of properly and you get the treatment and compensation you deserve. No one likes the thought of getting hurt while they are at work, but if the situation does ever arise, you will need to be prepared to sort out what follows. The first step you will need to complete is to get help straight away. If you have first aiders in the workplace you can get them to give you some basic treatment and then they will need to contact an ambulance depending on how severe the injury is that you’ve sustained. If your employer is part of the Preferred Provider Organization(PPO) or Alternate Dispute Resolution (ADR) program, this could mean that you have to get your healthcare taken care of by a participating healthcare provider which will take longer than being cared for on-site. But don’t worry, your employer has to notify you well in advance if they are going to be undertaking this scheme. Depending on the country you live in, you may have a cost to look forward to at the end of your treatment. If you have a personal injury lawyer they will make sure that you get your healthcare paid for by either the employer or the employers insurance company. If you don’t pursue your claim quickly enough you may run the risk of having to pay for the healthcare yourself, so make sure that you take the time to claim for your injury. 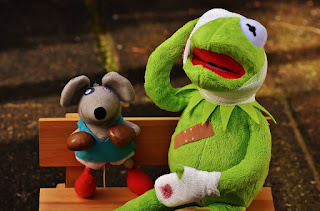 When you have sustained an injury while at work you will need to let your supervisor know what has happened as soon as you can, and they will often ask you to write the incident down in as much detail as you can for legal purposes. This is an incredibly crucial step because if you don’t take the time to inform your employer and write a statement you could lose your right to compensation. When you are looking to get compensation for an injury or disability caused by work, you will need to complete a claim form for compensation and then post it to your nearest workers compensation board. You’ll be able to find the address for your nearest one by searching online. If you do not file a claim within 2 years if the date of the incident, you will be unable to move forward with your claim and waver your right to gain compensation for the incident. Ideally you will want to complete your form as quickly as you can. Once you have gone through all the procedures, you can finally concentrate on getting yourself better. Make sure you always follow your doctor's advice, get enough rest and make sure you attend any physiotherapist sessions which are offered to you. You will hopefully be back, up and about and healthy as soon as possible where you can continue with your life as normal.